Generally, homes built in the 1940’s-60’s require additional outlets and lighting for modern conveniences such as dishwashers, microwaves, computers and entertainment centers. Homes built in the mid 1900’s were not designed to accommodate all of the electrical appliances that we are accustomed to today. For example, a typical household entertainment center can house as many as 5-10 electrical devices that require plugins. If your home is 40-60 years old, chances are you cannot accommodate a state of the art entertainment center. 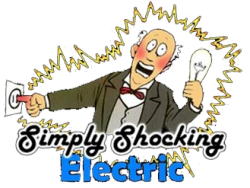 Simply Shocking proudly offers electrical installation for home remodeling, bathroom electrical remodeling and kitchen electrical remodeling to accommodate the emerging electrical upgrade needs of older homes in the Clackamas, Oregon City and Portland, OR areas. For most people, their first choice in electrical upgrades is typically the kitchen. This is because the kitchen is without a doubt, the most frequently used room in the home. At the foundation of kitchen operations is safe electrical service with ample outlets to handle multiple functions at once. Simply Shocking is here to ensure that your kitchen is outfitted with the electrical capacity to accommodate your daily electrical kitchen needs. Furthermore, newer electrical standards require that dishwashers have their own outlet and be on their own switch versus the outdated practice of wiring the dishwasher for service. These new electrical standards are in place to avoid home fires that have commonly occurred underneath a dishwasher wired in this outdated fashion. Simply Shocking also offers installation of recessed lighting on ceilings optimally controlled with dimmer switches, plus pendant lighting, mini pendants and island lighting. We also conduct under-cabinet lighting that is successful in highlighting the counter surface in your kitchen as well. 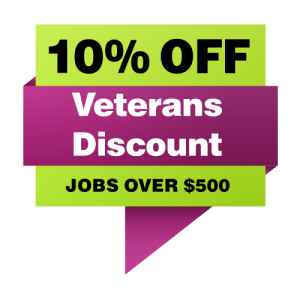 In addition, we can install commercial grade ventilation fans that will put a stop to your smoke detector going off every time you get the urge to cook. Notably, smoke detectors save lives and are now required in every home. We live in a time that uses more bathroom electrical appliances than ever before. Electric rollers, hair dryers and flat irons, electric toothbrushes and electric flossers, razors and radios, even TVs can be found in a modern bathroom. Proper lighting is imperative to proficient grooming and Simply Shocking is here to ensure your bathroom electrical needs are met with flying colors. Long gone are the days of the single bathroom home and the single bathroom light. Let Simply Shocking suggest ways that you can better light your bathroom to ensure maximum functionality of the space. Security is a huge concern for homeowners today which is why Simply Shocking installs perimeter lighting, fire and burglar alarm systems, and motion-controlled lighting take elevate exterior lighting to the next level. Simply Shocking also installs CCTV and card access systems, used both in high end residences and businesses and multi-family residential developments. Whether your home remodeling project is limited to changing out a light fixture, adding smoke detectors or gutting the room to start from scratch, Simply Shocking’s Master Electricians can make sure that your investment is safe and passes code.